Looking your best and feeling your best often go hand in hand. Soaking up some sun can help your body produce vitamin D, which can stave off the blues. You can also give your skin a naturally golden glow, which can help you feel attractive and confident. But unfortunately, there’s a cost for that golden color. Most people now understand that there is a correlation between unprotected solar exposure and increased risk of developing skin cancer. Thankfully, there are ways that you can get that perfect tan without endangering your health. Fake tan options are ideal, but not everyone has the money or skin tone that works with these cosmetic tanners. Safe tanning may be the better option, but you need to take steps to avoid sunburn. If you do end up with sunburn, there are also ways to help treat that safely and naturally. Skipping the tanning bed is always your best bet. The intense bulbs in these beds are as dangerous, if not more dangerous, than natural light you will get from the sun. Tanning in sunlight is the safer choice, but you need to protect yourself. You probably already know that sun cream is necessary to protect you from the potentially damaging rays that come from our sun. Using sun cream that has SPF 30 or higher is the best way to protect yourself from potential damage related to solar exposure while tanning. 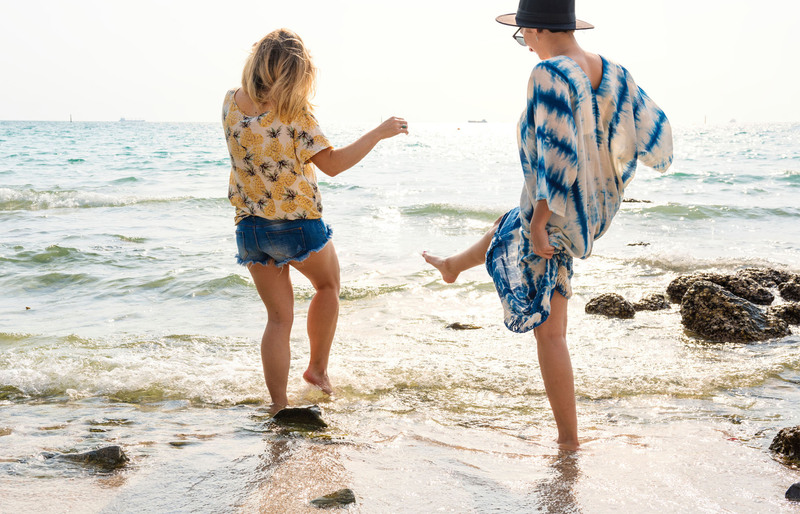 While it may seem counter-intuitive, if you hope to safely build a healthy tan, the best option is to always wear SPF when going outside and to reapply it regularly as recommended by the manufacturer. Look for a highly-rated sun cream that offers UVA protection, and don’t go out without it. While this may slow down how quickly your skin takes on that tanned glow, it will also decrease the risk of damage and sunburn. One of the biggest mistakes that people make when it comes to tanning safely is that they stay outside for longer when they apply SPF. That can be dangerous, particularly if you don’t reapply your sun cream frequently. Shorter amounts of time in the sun, such as 20 to 30 minutes, can help you get a healthy glow. A little time each day will be healthier for your skin and can help ensure your tan lasts longer. Unlike sitting by the pool all day, tanning in shorter increments should help to avoid sunburn. After all, the longer you stay out, the higher your risk of turning red as a result. Sunburn is painful, inconvenient, and unattractive. Nobody likes the look of peeling skin and red, irritated skin. It’s important to understand that sunburn is a burn that has damaged your skin. However, there’s no point in beating yourself up if you do catch the sun. While preventing it is the best option, you can also treat the sunburn. Take a cool shower or bath after you get out of the sun. Use a natural aloe vera lotion or an aloe vera gel without alcohol to help soothe your skin and reduce the effects of the burn. Make sure you stay adequately hydrated for the next several days, as your body will be actively working to repair the damage. Finally, keep the sunburned area covered whenever you’re around the sun, even if it’s through a window in your car or home. If you’d like to find out more about how to protect your skin in the sun, why not find out about the range of UPF 50+ clothing and accessories from Coolibar? Guest post by Jackie Edwards.